Hearts remain on the brink. Now, though, it is of a fresh start, an opportunity to move beyond the financial crisis to a period of stability and rebuilding. It is also, though, a direct challenge to the supporters of the Tynecastle club: can they still maintain the financial, as well as the emotional commitment to their club? 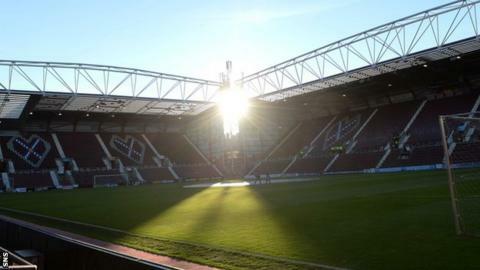 Heart of Midlothian Football Club plc has taken a significant step towards successfully exiting administration through a Company Voluntary Arrangement, but there are steps in the process still to be completed. Even then, when the legalities and administrative exercises are complete, the onus is on the fans to rise again to the challenge of sustaining and then owning their club. Bryan Jackson, of the administrators BDO, is 90% confident Hearts will achieve the CVA before the end of the season. There is a cooling off period for the creditors of UBIG, the Lithuanian investment bank that owns 50% of HOMFCplc, who had previously agreed to transfer the shares to BDO, for a token payment of around £100,000. Once that agreement has been ratified, and now that the creditors of Ukio Bankas have agreed to transfer its 29% shareholding to BDO, the administrators can complete the share and purchase agreement with BIDCO, the vehicle set up to allow Ann Budge to buy the club. The terms of the S&P have broadly been agreed, as have the terms of the agreement between BIDCO and the Foundation of Hearts, a membership scheme set up to allow Hearts fans to pay monthly direct debits to raise the funds to eventually buy the club from Budge. Both agreements will require negotiations over the finer points of the legal aspects, but all parties are willing for the deals to go ahead, and none can afford for them to fail. BIDCO will enter an agreement in which FoH initially provide £1m next month to meet football debts and other capital expenditure, then £1.2m for each of the next two seasons as working capital. In five years, the binding agreement will be for BIDCO to sell the club to FoH to allow Budge to recoup the £2.5m she is putting up to fund the CVA, plus interest that she would have received had she invested the money elsewhere. All of these contracts ought to be ironed out quickly, although time is of the essence because Budge wants to get to work at Tynecastle, and there is much restructuring to be done to prepare for next season in the Championship. About 8,000 fans have signed up for the monthly direct debits, which provide about £1.2m annually, but more members would provide FoH with greater financial security and greater means to push ahead with their plans. Season ticket sales are also crucial, since Budge has no intention of spending any more money on the club. That is a message that will need to become entrenched amongst supporters, who might assume that the millionaire businesswoman will simply underwrite the rebuilding programme and meet any shortfalls that arise. This will not be the case. All expenditure requirements will be met by the usual combination of season ticket sales, sponsorship, commercial revenue and prize monies. It is a day of celebration, since Hearts are closer to exiting administration, but it is also only one step on a longer journey. There is some relief, though, that the timetable is not at the mercy of Lithuanian law and financial practices. The legal agreements need to be concluded before FoH provide the £1m to keep Hearts going next month, so time is still an enemy. Even so, Budge has been preparing for taking over. The chairwoman-in-waiting has been studying how Hearts are run, how football works as a business, and has plans in place. She is a successful businesswoman in the IT industry, but her expertise has been in business-to-business transactions rather than retail operations that underpin the business of Hearts. She must also quickly come to terms with how the game works. She is said to have been taken aback and frustrated by the level of speculation around football - Craig Levein has, for instance, been linked with a potential return to the club as manager - and has withdrawn even further from what was already a low profile. Even those currently working at the club do not know if they will be retained in their executive or sporting roles when Budge takes over. There is unlikely to be much of an increase in the playing budget that Gary Locke had to work within this season, although healthy season ticket sales would provide more room to manoeuvre. This is the start of the next stage of the process for Hearts fans, and the club will need them to show their commitment again. It is also the start of Budge's succession planning, since from day one, she will be preparing for her exit, and passing the club over to fan ownership. Challenges remain. Radio & text: Can Khan shock Crawford to take world title? Read more on Radio & text: Can Khan shock Crawford to take world title?